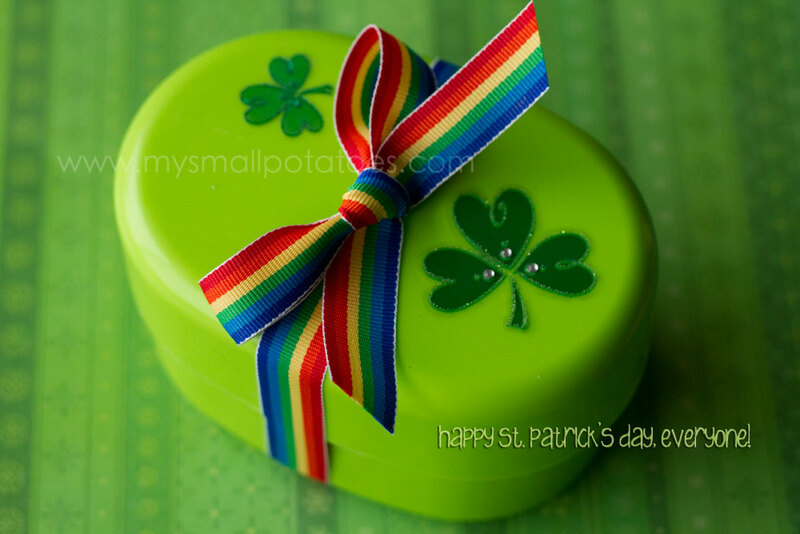 Did you know that Saint Patrick’s Day was made an official feast day in the early seventeenth century and that it commemorates Saint Patrick and the arrival of Christianity in Ireland? And now it has become a celebration of “Irishness” and Irish culture in general! Saint Patrick’s Day is a public holiday in the Republic of Ireland, North Ireland, and even here in Canada in Newfoundland and Labrador. As much as I wish it was a public holiday here…it is not. But we still have a bunch of fun celebrating it! 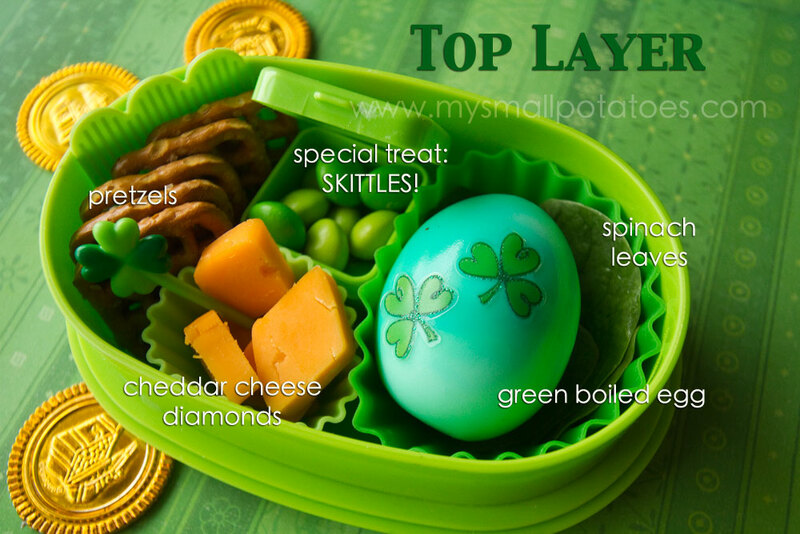 Starting with our very own St. Patrick’s Day bento… How did I get that egg green, you say? 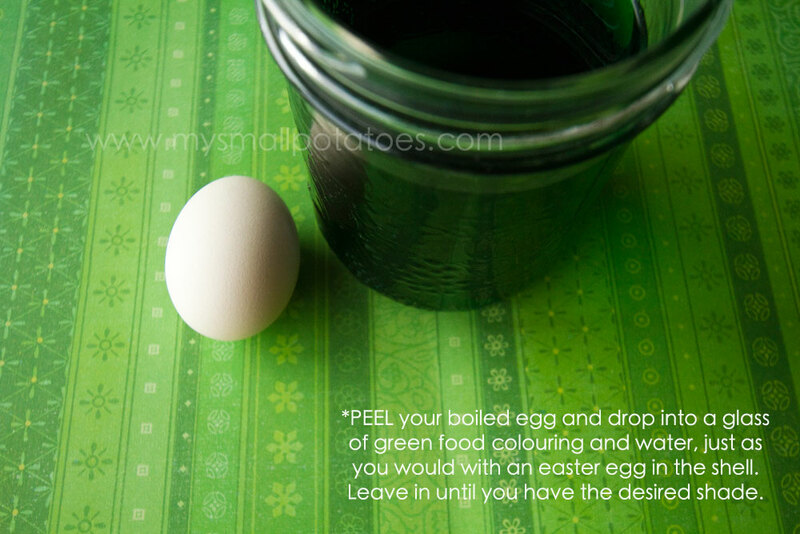 Just like you would an Easter egg, only without the shell! *The green oval bento, little green box, the green baran divider, and the green silicon cup were purchased online from BentoUSA at www.allthingsforsale. 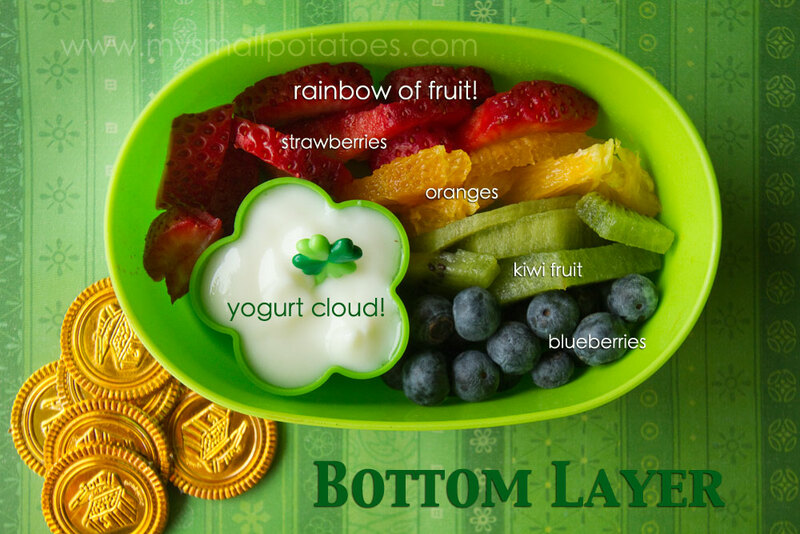 Simply place the cup of yogurt in the bento and then chop a rainbow of fruit or veggies and arrange them into a rainbow shape. *Clover leaf picks and flower-shaped cup were purchased from BentoUSA at www.allthingsforsale.com. Happy Saint Patrick’s Day everyone! And may the luck o’ the Irish be with you! 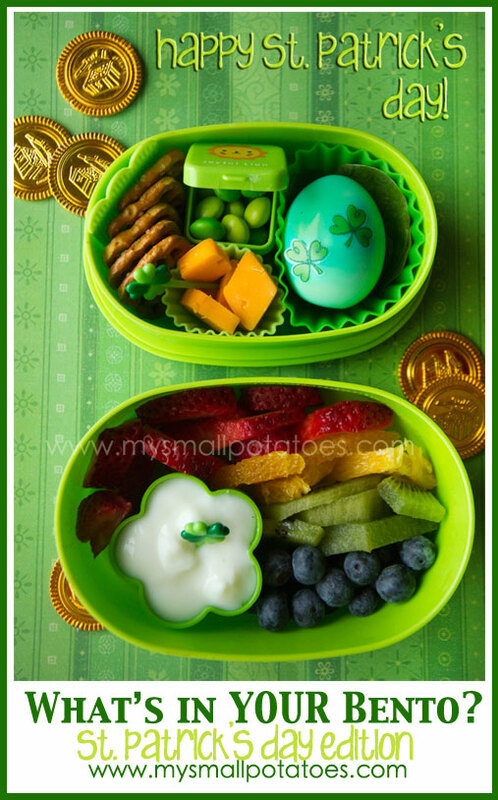 *I used rainbow ribbon instead of an elastic band to tie the bento and placed some shamrock stickers on the lid. Posted in Bento Boxes, Cooking, creativity, DIY, Early Childhood, Education, Inspiration, Japan, Lunch, Meals, Nutrition, picky eaters, Preschool, Rainbows, Uncategorized, What's In YOUR Bento? Yes, we celebrate on March 17th, also…the post came out earlier so people would have time to make their bentos before the celebration was over. 🙂 Blessings to you!